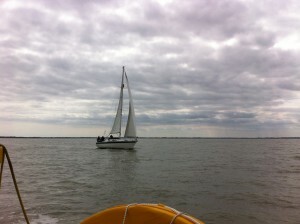 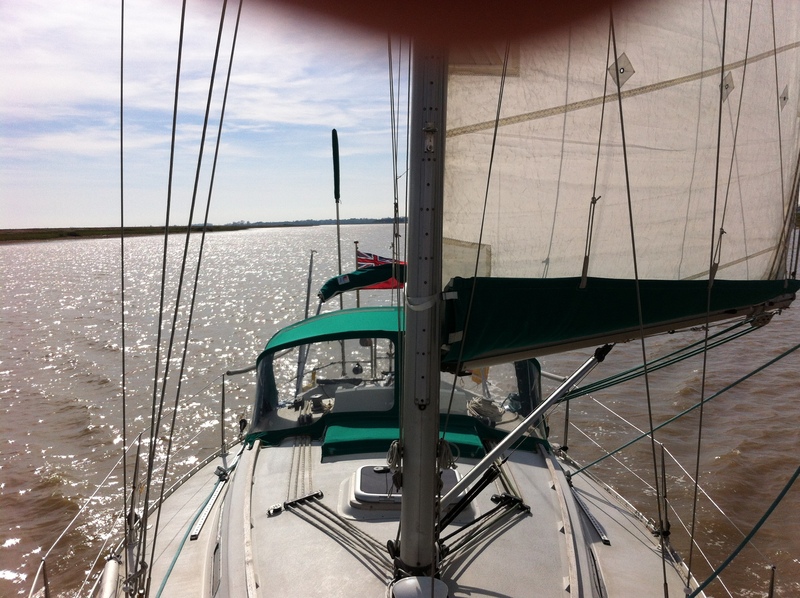 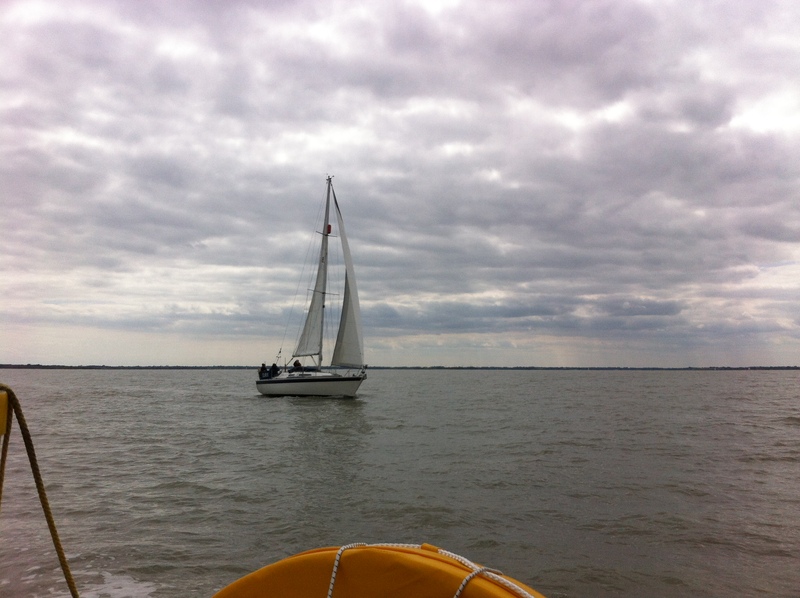 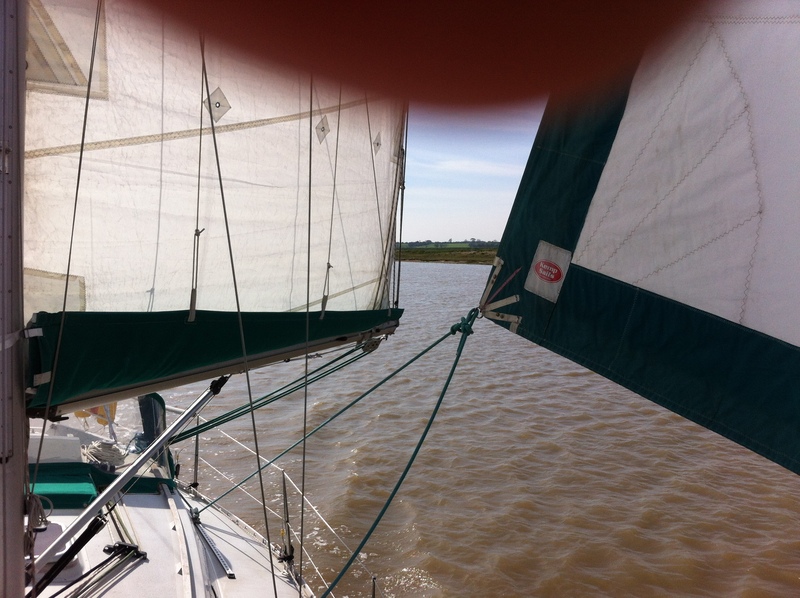 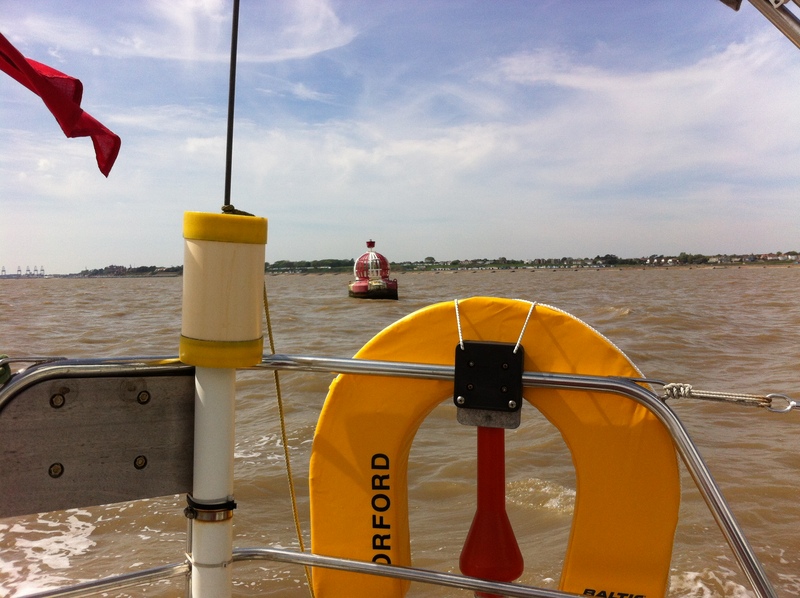 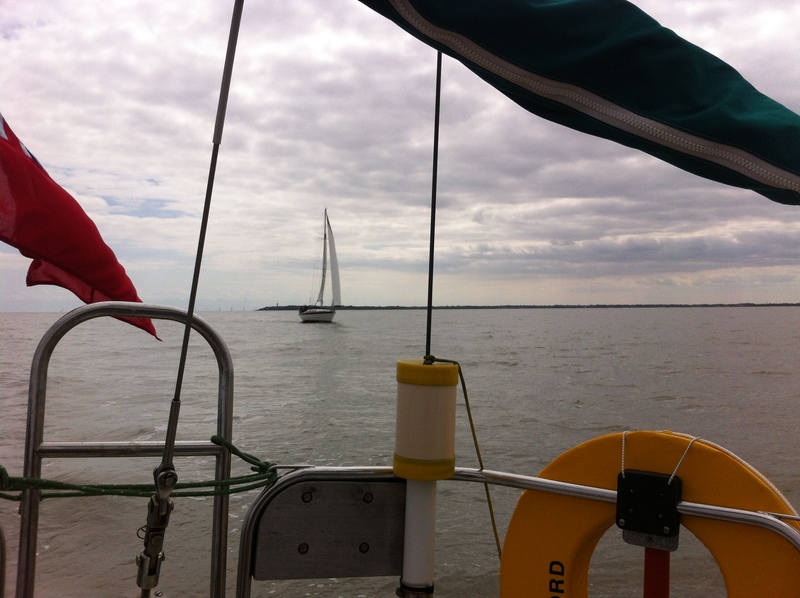 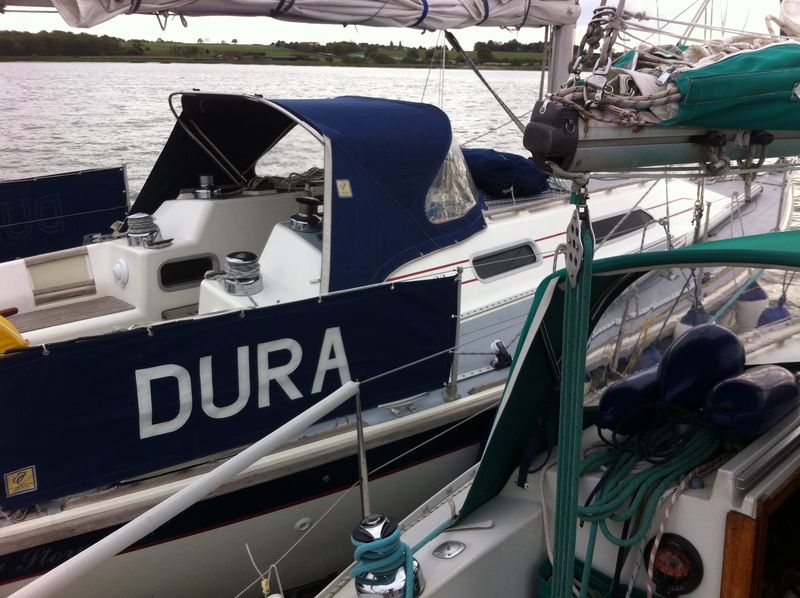 We were heading for Pyefleet but the tide was turning and the wind dropped…. 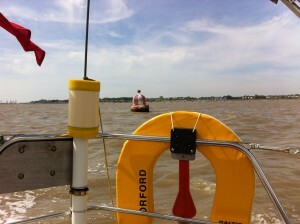 Heading for The Stour and ‘Dura’ with a clean bottom is passing us with ease..
Rafted up to ‘Dura’ at Wrabness. 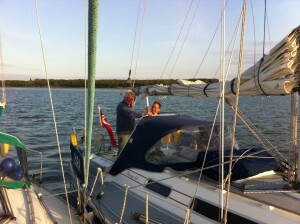 Linda, Peter & James R.
Chilly and beautiful here and supper on board ‘Dura’. 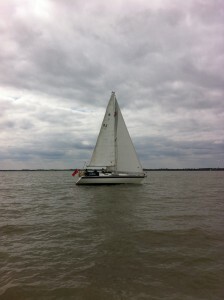 I was very muddled with my thoughts until I talked to Peter and James R. I will go for a Typhoon. That’s settled. One of the best sails. 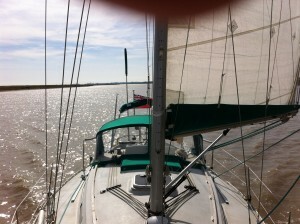 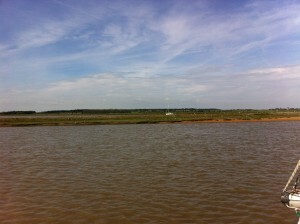 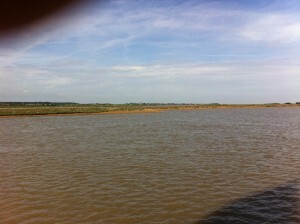 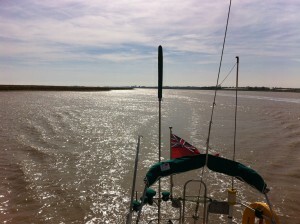 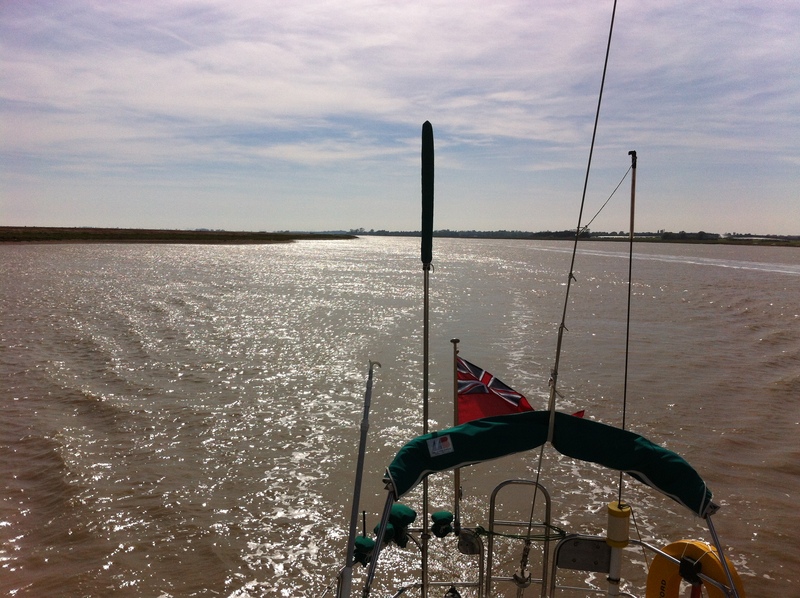 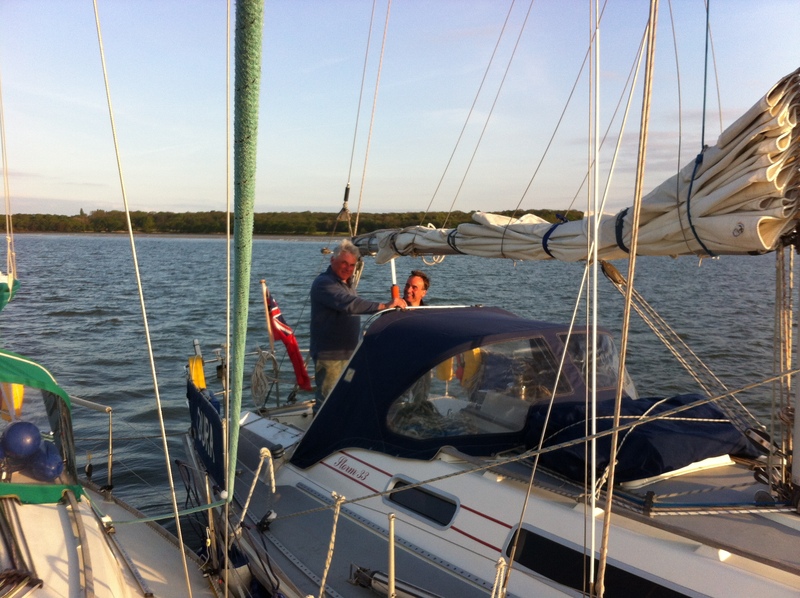 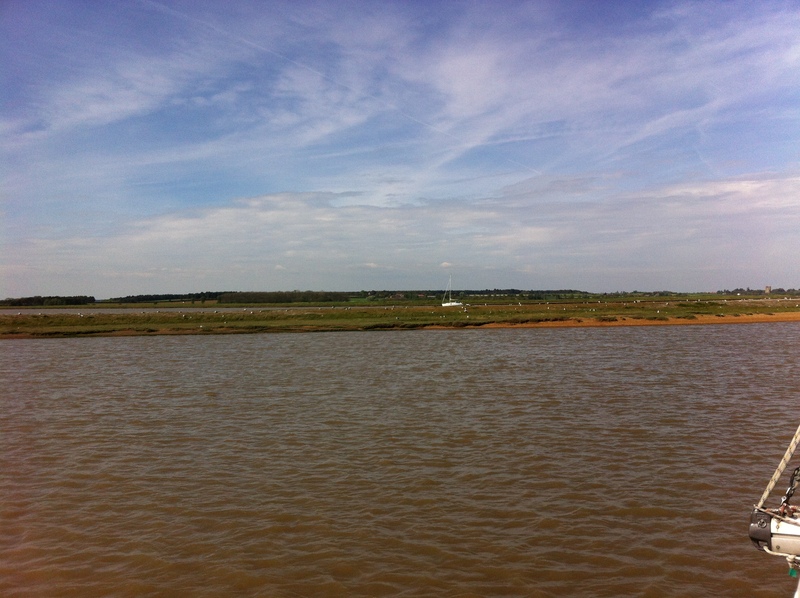 A beat out of Harwich and a sail all the way to our mooring at Orford.